Richard is a tricky guy to pin down. Every time I send him an email he’s on the run. Not ‘on the run’ as in ‘from the law’ but just flying here and there. Tonight he’s on his way to Australia but with the wonders of technology he sent me his blog contribution via his phone. Brilliant hah!! 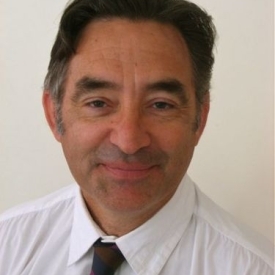 Richard Langston is a journalist who’s worked in newspapers and radio and television. He’s also written five books of poetry which have been published by Fitzbeck Creative of Wellington. Richard is a music fan who has spent many hours in Dunedin pubs – including the Captain Cook. He wrote the poem about the power of Tongans singing in church on a recent assignment reporting on the ferry service to the island of Eua. The cut arms, and the smashed-glass faces. & the poet rolling one between shots. the flower of their devotion. A pig ambled in the rain. They sang themselves out of themselves. the bright sails of their embroidered names. this shattering blue cathedral of song. Kevin Dunkley has chosen Richard’s, Smoking an Eel on Holiday, as his exhibition poem. The poem attracted a lot of positive feedback from our readers when it featured in our poetry cards. I’m wondering how Kevin is going to interpret the poem. I guess we’ll all see in…. just over eight weeks.